If this is your first time visiting this web site, welcome!! You may be wondering – just what is a Moodkin? To put it simply, a Moodkin is a pumpkin-shaped (hence the “kin” at the end of the name) therapeutic plush toy with a different facial expression on each of its two sides. 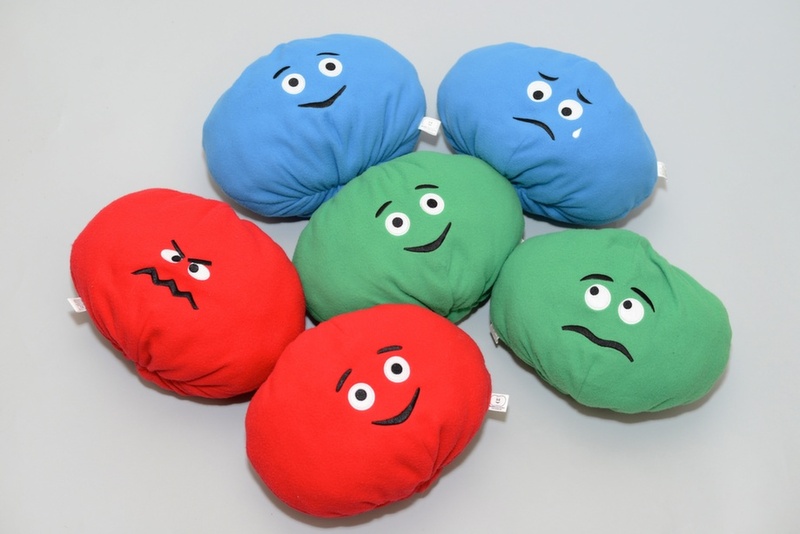 They are currently available in the colors of red, green and blue, with their respective emotions of anger, fear and sadness on one side, and a happy expression on the other side. Each Moodkin is soft, huggable and most importantly, ready to share your mood! Follow along on this web site’s blog, Mood Matters, or on our Facebook page for ideas on how to use Moodkins with the children in your life.